EAT. SLEEP. RECYCLE. REPEAT! There really is nothing like too much recycling UrbanMeisters. Like the old saying, ‘Use it up. Wear it out. Make it do. Or do without.’ As a green living community we’ve covered recycling for you over and over again giving you methods, tools, DIY recipes and products that help you recycle. However over time it has become apparent to us that what matters more than the ‘practice’ is the attitude. Global warming, climate change, air pollution, water pollution, natural calamities- all big problems (and words) have really a small solution- you! It is you doing your bit even in the smallest and simplest fashion, such as recycling. Recycling is the most effortless and effective contribution that can be made at an individual level and when taken collectively it’s impact is huge. Today we show why you should recycle and the right way to do it- a special feature with the good folks at Mattress Online Blog . But start with a special quiz to help find out what kind of a recycler you are. And if you aren’t, it’s never too late! You find an old can of paint in the shed. What would you do with it? Which colour glass is rarely labelled at recycling sites? Is it recommended to compost meat and fish? How much of our landfill waste could be recycled? Why can't cereal boxes be recycled? You're a top recycler! Just by doing your bit every day you'll help to save our planet. You do your bit and make the effort to go the extra mile. You do your bit, but there's plenty room for improvement. Check our blog out for some handy hints and tips. Your recycle skills are in need of recycling, but it's easy to get started! Check out our blog for some handy hints and tips. There are lots of reasons why we should recycle. Landfill sites have a negative effect on the environment. They allow methane into the air and pollute the earth with toxins. Burying waste has a finite lifespan – we simply don’t have the room on Earth to keep burying rubbish. Much of this will take centuries to biodegrade. Creating new products from old materials – recycling, in short – is also faster and more cost effective than sourcing materials to make new products from. Reusing materials saves a huge amount of energy. This in turn benefits the planet and its ecosystems on the whole. 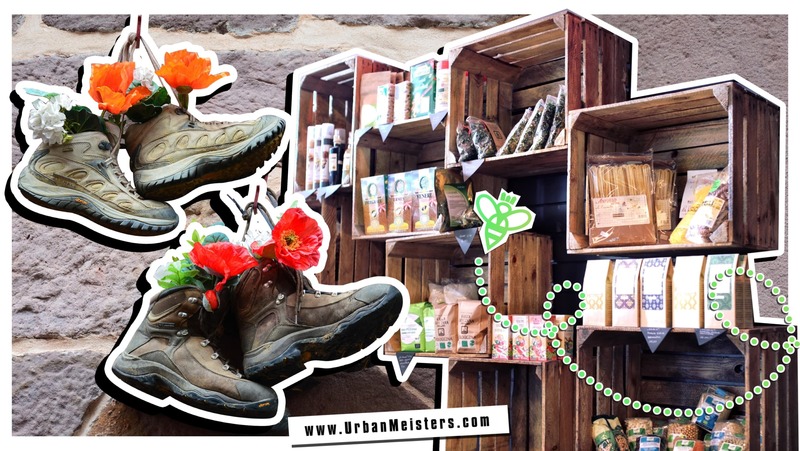 UrbanMeisters presented an award winning sustainable company RePack making re-usable packaging for online and offline retailers and other packaging needs. Shortlisted for the Nordic Council Environment Prize, RePack has also been chosen for the prestigious sustainable fashion accelerator program by the Kering Group, Plug and Play & Fashion for Good. RePack aims to cut the massive packaging waste in shopping & transport by giving you re-usable packaging. Apart from all this, it’s also worth pointing out how easy recycling is! From putting different products into different coloured bins rather than your main waste bin, to taking larger items to recycling centres and composting as much as you can, only a slight adjustment in your everyday routine will make all the difference. Firstly, consider the packaging your purchase comes in. It should give a clear indication whether it is suitable for recycling or not. Establish this prior to purchase and you’ll save yourself time and energy further down the line. Secondly, if you find yourself regularly recycling or composting whole vegetables or fruit – as opposed to peelings and scraps – consider buying less in future. Keep your recycle bins to hand. Keep them close by and you’ll quickly get into the habit of putting recyclable materials in their proper place. It’s as easy as putting them into a waste bin. Apart from utilitarian recycling, you can also recycle for home decor. Add up cycling to that mix and you could have a really cool, eclectic and fun interiors! Unless you live in a property that has a lot of land and its own recycling plant, the chances are that there are some things too large to recycle within the home. Your local area should have an area for recycling larger items. It should also have a place for disposing of hazardous substances and electrical equipment safely. Items such as mobile phones, batteries and white goods can all be taken to your local recycling centre. Bulky items such as wood or branches can also be taken to your local recycling centre. It’s best to take these to a centre as unless you are able to chop them down to bite-sized pieces. Large items will take too long to break down in a home composter. 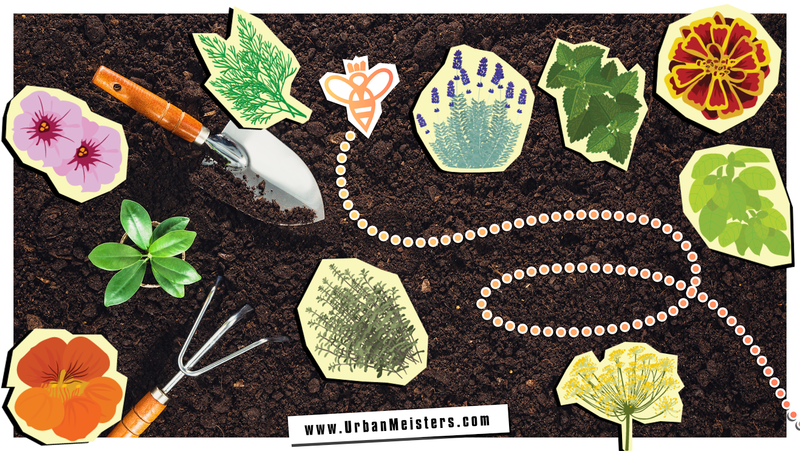 Composting is easy, cheap, and beneficial for your garden. Many councils offer free or reduced-fee composting bins. You could also make your own compost bin out of wood. If you are composting food scraps alongside garden waste, make sure your composter has a lid. This will not only keep pests out but helps to keep the heat in, aiding the breaking down process. 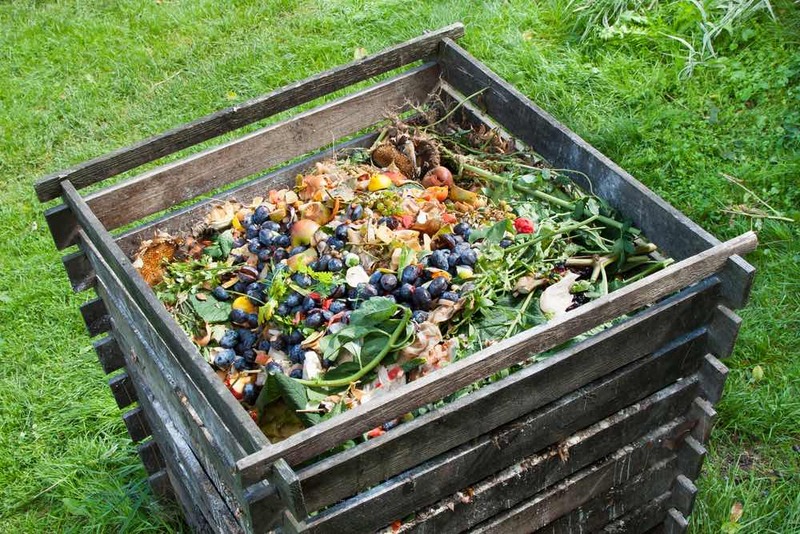 You can compost fruit and vegetable peelings and scraps, paper that does not have a glossy sheen, and garden waste. The combination of these three composting groups will break down to form a rich, nutrient-heavy mix to put back on your garden once it’s ready. And believe it or not even your food packaging can now be composted with Vegware. 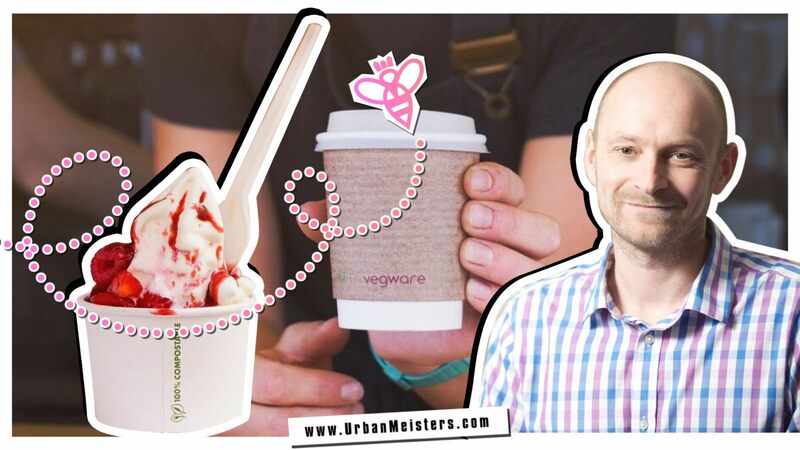 An innovative plant-based packaging company, Vegware makes catering disposables that are compostable with food waste! So say good bye to single use disposable plastic terror! The trick of good composting is to get the consistency right – it shouldn’t be too wet or too dry. This is partially dependent on the wet-to-dry ratio you put in it. Too much paper will dry it out, too many peelings will make it too wet. If you’ve got a good ratio but still have problems, leave the lid off to allow rain in, or leave it on to allow the heat to dry it out. Composting can take time, so to speed things along, ensure anything you put on your pile is small in size – it’ll break down so much faster. Be sure to stir your compost regularly. Your compost will need air to help the process. Composting is great for an organic pesticide free garden. Good luck with your own recycling and enjoy it! 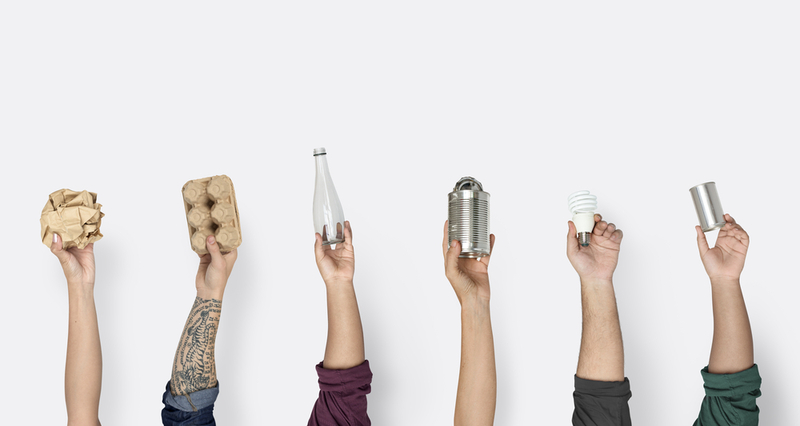 We’ll #ActForClimate one small recycling step at a time!